If Alice Hoffman was a painter, her brush strokes would barely touch the canvas, yet her pictures would be as vivid as Monet’s. She crafts delicate stories that always seem on the verge of wafting away until they come back to earth with some devastating, perfect detail. The Red Garden is something new from her: a book pitched somewhere between a short story collection and a novel. The individual tales stand more or less on their own, but the cumulative effect is much more novelistic. The continuing character is Blackwell, a Massachusetts town that she tracks from its settling in 1750 through the present day. Founded by a woman so tough and determined that she milks a bear to keep the settlers alive, the town remains home to strong-willed women who either choose duty over love, or find love’s solace fleeting. The men are often confused, aimless, seeking a direction in life that many of them find in the wilderness of the nearby mountain. Bears are a recurring motif, as are bees and eels in the river. The titular garden grows plants that inevitably turn red for reasons that the reader knows, but not the inhabitants. And there are elements of overt magic, specifically in the story “The Fisherman’s Wife.” But for the most part, the supernatural elements remain subtle, hidden, easily explained to the characters with more mundane explanations. Only the reader, with the perspective of history, sees them for what they truly are. And it’s that gentle, cobweb-light push/pull of magic and reality that defines the book’s tone. Stylistically, Hoffman goes for something equally subtle. 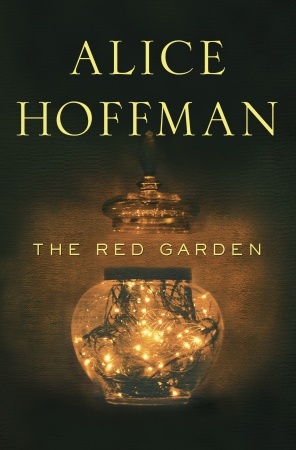 Characters weave in and out of the stories, and Hoffman plays with narrative voice when it suits her (“The Truth About My Mother,” for example, is told in first person). There’s a sense that the penultimate story, “The Red Garden,” resolves threads left from the very first tale, “The Bear’s House.” But then there’s a final story, “King of the Bees,” that thematically says no story ever ends, not even when we think we understand it. Blackwell’s tales go on, just as life continues past our own moments of epiphany. As a reader, I try to expose myself to things vastly different from what I write. The Red Garden has virtually nothing in common with my own stories, but I hope it teaches me to be a hair more subtle, or to risk a moment of delicacy amongst the swordplay and carnage. I'll get this book – that's what a good review will do. I like subtle supernatural elements- I use those in my own writing, letting the reader decide if it's "real" or the character's reality or whatever . . . So, this is timely, since I've just began reading Alice Hoffman's work just this past week. Two of her earlier works: At Risk & Seventh Heaven-the latter of which I enjoyed more.